As an amateur runner, you never expect to win any kind of race. And while Parkrun isn’t officially a race, plenty of people treat it that way. 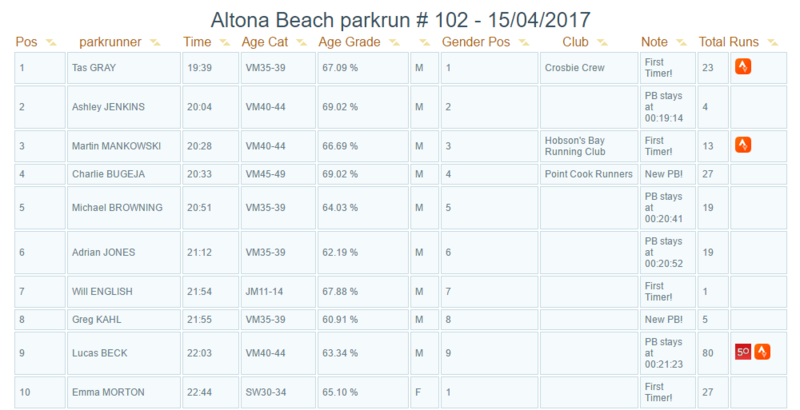 Fortunately for me, no one with any serious ability turned up to Altona Beach Parkrun this week and I was lucky enough to finish first. By no means a high achievement, but a win is a win and I’ll tick it off my to-do list!